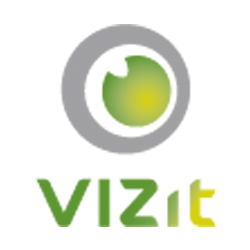 Vizit uses SharePoint Content Types to manage conversation data for Social eXchange. Every conversation is stored in a Document Library which is hosted in the root Site of the Site Collection where the commented document is from. External documents are a special case. Being external, they do not have a home Site Collection, and because of this, conversations for external documents are stored within the context that the document was opened. Social eXchange conversations are queried based on the URL of the associated document. There is no SharePoint context information in the URL of external documents, so the context of where the document was opened is used. This allows for each Site Collection to have it's own conversation about documents external to SharePoint. Next, consider that Joe makes a comment on the document using Vizit SX from within the same search center site. Later on, at the water bubbler, Joe tells Jane he's started a new conversation about that document, and she should add her own comments. Jane knows that she has a link to that document from her department's SharePoint site (in a separate site collection), so she browses there, instead. Jane opens Vizit SX on that document and see's no comments. Confused, she asks Joe where the comments are. Joe then gets a short link to the conversation from within Vizit SX and sends it to Jane. Jane get's the email and clicks the link and the comments work! Again, the comments worked from the link because the link has contextual information that tells Vizit where the comments have been stored. A Social Footnote is a link to a highlight in a document to give context around a conversation taking place in an email or some other enterprise social application. The context of where that highlight is stored and what document the highlight is about is part of the URL, so these just work. First, imagine Joe goes to your SharePoint search site, which is in its own SharePoint site collection. You have configured the Content Sources of that search application to include documents from a network storage location, so Joe can see those documents in his search results. Joe wants to find something in one of those documents and share that information with his colleague, Jane. He creates a Vizit Footnote, and emails the Footnote link to Jane. Jane gets the email and clicks the Footnote link from her email. Jane will be taken directly to the Footnote as expected.